For education establishments such as universities and schools lighting control has a different primary purpose. Given the difficulties of juggling rising costs against current educational budgets, saving energy (and therefore reducing power bills) is still important and remains a priority. Top of the list however, and the primary focus for lighting control in the education sector, is to create and maintain an environment that is conducive to learning. Fortunately modern lighting control technology makes it possible to deal with both priorities at the same time! The ideal solution in educational environments is for dimming to be graduated to support the learning process, but use only the necessary amount of energy. Typically in classrooms there will be three or four banks of lighting. One of these will be close to the windows, another close to the front of the room where the whiteboard is located. A good lighting control system should be able to accommodate the varying levels of daylight, and adjust the lighting to compensate. For this to happen the lights nearest the windows must be dimmable. On a sunny day, the lights nearest the window can then be dimmed as much as 25%. Dependent on how far into the room daylight penetrates, if these light fittings are also dimmable, they can be dimmed to 75% for example, or remain at 100% on a less sunny day! There may also be occasions when the teacher wants to draw the students focus to the front of the room, or to the whiteboard. This can be done by reducing the lighting elsewhere in the room. It is important therefore that an easy interface to control the lighting is available for teachers and caretaking staff who may have varying levels of technical competence. 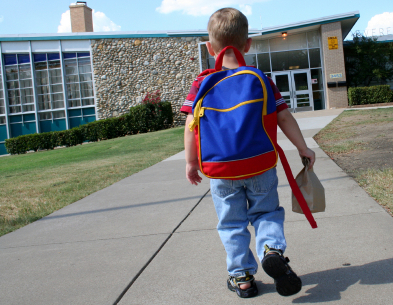 Another characteristic of educational establishments is variable occupancy. They may be in constant use on week days during term time, but in the evenings, on weekends, or during the holidays, there may be occasional community use for just parts of the building. For this occasional use, ideally only those spaces that are occupied should be lit, along with connecting corridors and stairways. Unfortunately it is still common to see a school ablaze with light, when only one or two rooms are being used. In tertiary institutions the variable use may be even more pronounced with laboratory facilities, lecture theatres in use at differing times to the main facility. For much of the day these areas may even be unoccupied, but relying on people turning lights off as they leave has not proved effective. Installing occupancy detection delivers the best results. Selecting the best occupancy sensors for the area is important, and can also reduce the costs. One microwave sensor in a classroom for instance, will provide full coverage, as against 2 or 3 PIR sensors that would otherwise be required. The same principle applies to corridors where extended range directional sensors can provide maximum coverage for a minimum number of detectors. 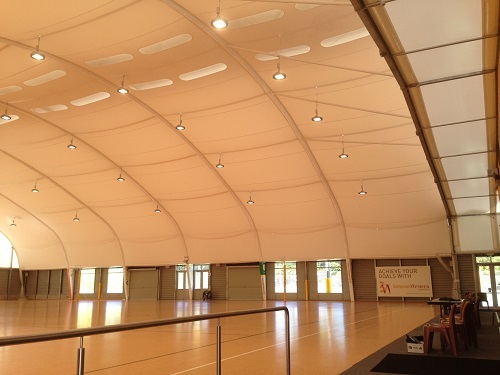 Educational establishments commonly have sports halls or auditoriums that perform a multitude of uses. 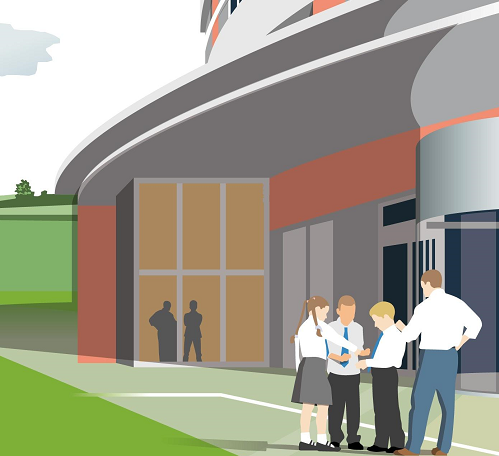 A school hall for example may be used for ‘breakfast club’ before school and then be unoccupied for a number of hours before a scheduled ‘dress rehearsal’ for the weekly assembly. ‘Breakfast Club’ used the entire hall with various activities across the space, and all the lights were required to be on. For the dress rehearsal later in the day, the class that was using the space were centred around the stage, and the lights elsewhere were not required. For best practice, a lighting control system would have been easily adjusted to allow for full lighting for the ‘before school’ use of the space, localised lighting only for the dress rehearsal, and automatic turning off of all lighting when the hall was unoccupied. It is important that proper consideration be given to the controls strategy for multi purpose areas. Occupancy detection will be important, but there may also be some requirement for scene setting and scheduling, and the interface to control the system will need to be simple to understand and to use. Innovative new products are emerging in the lighting controls arena that have been specifically designed for the challenges of the education sector, and have much to offer over previous ‘one size, catch all’ type products! When looking for an appropriate solution for your establishment, it makes sense therefore to seek advice from a company such as ourselves who have specialist knowledge and extensive experience in the use of various lighting control technologies to meet a particular need. We can put forward a variety of options and discuss the comparable benefits and or drawbacks of all possible systems. 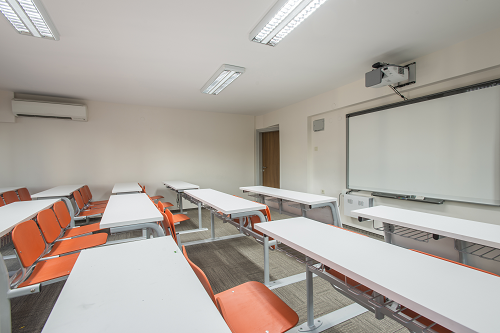 You may be planning to build a new classroom block, be renovating an existing area of your school or tertiary building, or you may simply want to add some simple energy efficient solutions for your existing campus. Give us a call, we are always happy to discuss your requirements, and suggest the best, most robust and cost effective solution to meet your requirements.